REVEALED: The Top 5 Gifts for Mother’s Day as Voted for by UK Mums! Research by Ovenclean has revealed the top 5 gifts that Mums would most like to receive on Mothering Sunday. 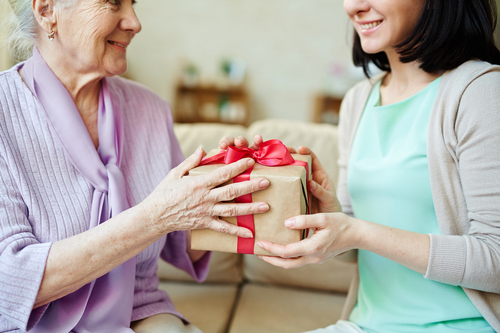 Ovenclean, a network of professional oven cleaners in the UK, asked a national representative sample of mothers what gift they wanted this year for Mother’s Day, and the results may surprise you! Read on to find out if you got it right! Diamonds are a girl’s best friend, right? Well, we’re not saying it has to be diamonds, but with 10% of Mums voting for Jewellery it’s safe to say that this would be a good choice. Not many women would say no to beauty and spa treatment, so it’s not surprising that 11% voted to receive this gift, putting it in 4th place! Experiences and time spent with family is priceless, which may be why a day experience was a popular choice, scoring 14% of mother’s votes. What do you get the Mum who has it all? Choice! 15% of mothers would opt to receive a gift voucher to spend in their favourite store – making your life much easier! Beating off the competition by just 1%, perfume was voted as the gift that most mums would most like to receive on their special day, accumulating 16% of votes! Personal, thoughtful, and luxurious – your Mum is bound to be impressed! Other gifts that narrowly missed out on a place in the top 5 included hair and beauty products, (9%), a holiday or a night away (9%), home or garden items (5%), clothing (7%) and accessories, such as a handbag (6%). About Ovenclean - Ovenclean specialists have been cleaning ovens nationwide for over 20 years, and can make even the filthiest of cookers shine again. To find out more visit ovenclean.com, or like @ovenclean on Facebook! This press release was distributed by ResponseSource Press Release Wire on behalf of Franchise Brands Ltd in the following categories: Children & Teenagers, Men's Interest, Entertainment & Arts, Health, Leisure & Hobbies, Home & Garden, Women's Interest & Beauty, Food & Drink, Media & Marketing, Retail & Fashion, for more information visit https://pressreleasewire.responsesource.com/about.